Here’s some pics of our “Strip & Rip” client Jonny. 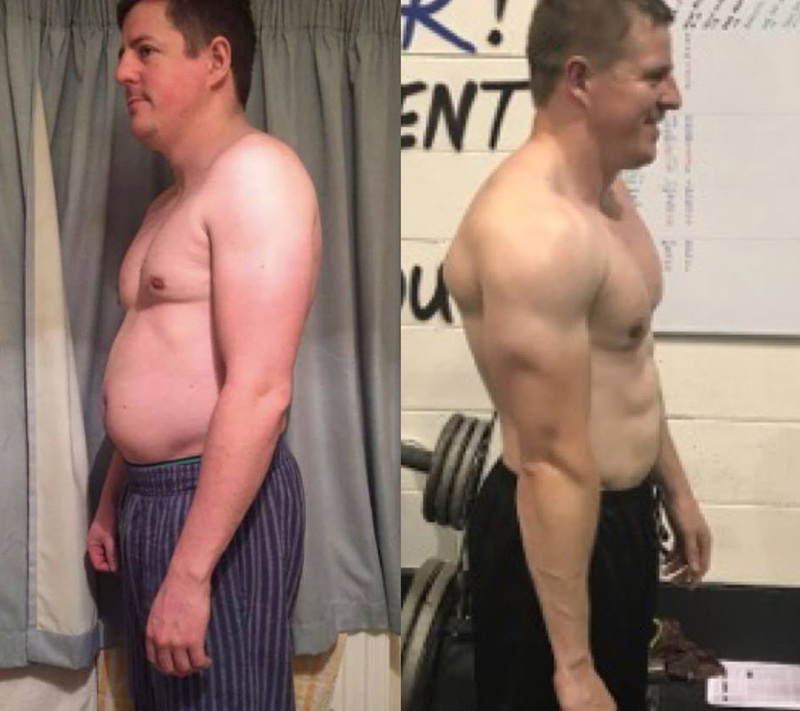 His journey so far has not been an easy one but with hard work and dedication he’s stuck it out and the results…well you can see for yourself. During the year he also had many shoulder injuries stopping him from doing certain exercises for months at a time with countless trips to the physio. Also within this time he took 3 weeks off for his wedding celebrations and then took a month of over xmas for his honeymoon and to enjoy the festivities. He also got a new job and it was a touch and go whether he could fit training in at all…but he made it work as he knew he had to keep on going. Asides from all the set backs he has become an absolute beast when its come to training..even with the knee troubles he’s managed to squat an incredible 185kg and bossed a 230kg deadlift all of this at roughly 80kg bodyweight. One of his main goals over a year ago was to get back to playing rugby…1 year later he’s back on the pitch. 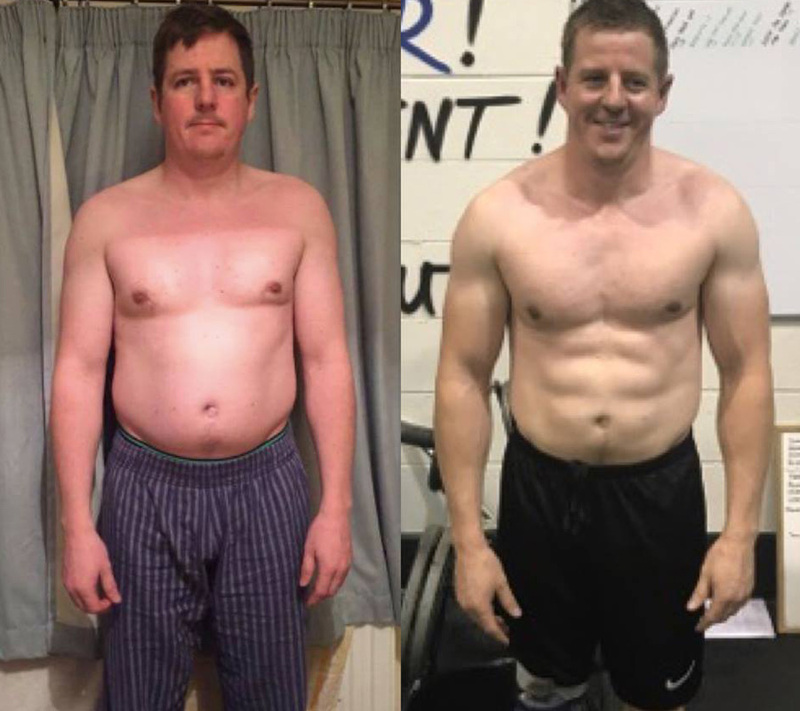 Looking at the pics you would think that he would be on point on his diet 24/7….NO CHANCE…he loves a good drink on the weekend and has totally taken on board our flexible approach to nutrition. He’s such a pleasure to work with, giving it his all every time he steps foot in the facility. Looking forward to seeing what another year of coaching him brings!